Looking for the a Customer Relationship Management system (CRM) to help you sell more insurance? I show you my actual account and reveal all VAMdB’s best features in this video. 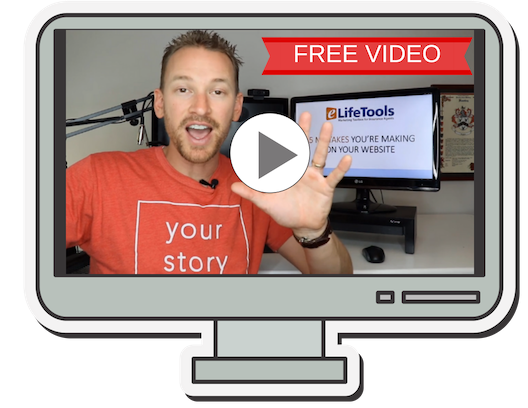 For my free email template (mentioned in the video), sign up below. Sign up for our newsletter and you’ll get my top 5 tips on generating website leads, and our #1 best converting email template for VamDB. Let me give you a brief overview of VAMdB if you’ve never heard of it before. VAMdB is a customer relationship manager, sometimes referred to as a CRM or contact management system. If you’ve been in business for a while you’ve probably used a contact management system like ACT or Sales Force. The difference between these contact management systems and VAMdB is that VAMdB is specifically made for insurance agents. You may be able to do this in other systems with modifications but VamdB cannot even be compared to those. (Be sure to watch the video above to see why!) Let me give you a few bullet points of my favorite features found in VamdB. 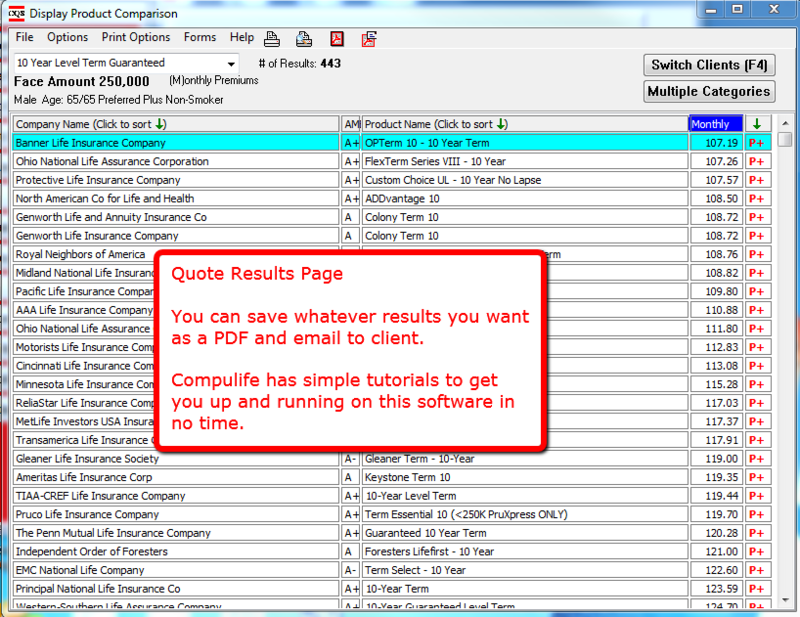 If you have a basic $199 per year subscription with Compulife you can get quotes for life insurance within the VAM dB system. Everyone knows that if you want to sell more insurance you’ve got to stay in front of the customer — the best way to do that is with a drip marketing campaign. VamdB has a terrific system for doing this because, again, it’s built for insurance agents. So you can set the emails to go out based on specific insurance-related events such as the anniversary of a policy or perhaps 10 days after the policy goes in force. VamdB also creates a “Policy” under the lead’s policy tab, that shows the insurance carrier and premium from the lowest priced quote result from their query. Hey Joe, I saw you were just visiting my site and were looking at *$500,000 of life insurance…. and so on. *So you see it pulls the $500,000 amount from the quote request data, but you could even throw in the premium or the carrier. Then 2 days later, it will send them another email, and then another 2 days later. I believe I have about 10 emails in there before I stop sending them emails. Of course if the client calls in or I get a hold of them, those emails are automatically disabled. It’s that simple. There’s huge potential for this. In the video above I share with you another example of an email that I send out about 10 days after the policy goes in force that gets us LOADS of referrals and additional family members. I also have an email that we send out to our new leads who we still haven’t contacted. It’s the highest converting email that we send in that series. It goes out on the fifth day and I’m happy to give that to you. All you need to do is sign up for our free newsletter below and I’ll give you the template. In our Huntley Wealth Insurance Agency we get email responses from that email every single day. It’s a great converter and it’ll work for you too. Go ahead and sign up for the newsletter and you’ll be able to download that. Here’s another feature that I love… All or your client’s files stay in one place, in the reference page within VAMdB. As you all know, compliance is a big deal these days and one of our mandates as insurance agents is to keep track of all the communication between us and our clients. VAMdB makes this so easy by giving us this reference page where every single file that we’ve exchanged can be saved and easily accessed. Login from anywhere in the world. VAM dB is not a piece of software that you download onto your computer… have to update every month, etc. As I explained above, when a visitor gets a quote at one of my sites, Compulife sends and email to VamdB, where a new lead is created and all the lead data carries over. This is an important feature in VAM dB. Not all CRMs can accept lead data by this sort of email posting. In short, if you’re trying to keep costs down or you’re just starting out I highly recommend the VAMdB / Compulife combo. Within VAMdB, they have something called a leads/client tab where you can search your client database by a variety of search capabilities. The search function is great for finding clients (maybe you forgot their name and forgot to set a follow up… doh! ), so you search for keywords you may have added in your notes and easily find them. More importantly this can also work as a sales lead generator. Let’s say that a new type of product comes out for a specific niche within your clientele. Let’s say that a simplified issue product comes out for people with cancer. You might go to the leads/client tab and search by the keyword of cancer and then further refine your search by looking up policy declines. You’ll quickly have a list of people who are declined who had the word “cancer” somewhere in the notes. You might have a new list of clients to sell this new product to right there. Trust me. If you’re serious about growing your business, you want to get out of your current CRM and move to VAMdB. You can try it as a single user for FREE. Click here to try it out!